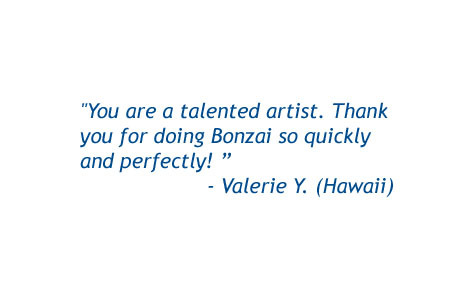 I am honored that my miniature pet portraits are considered among the best in the world. 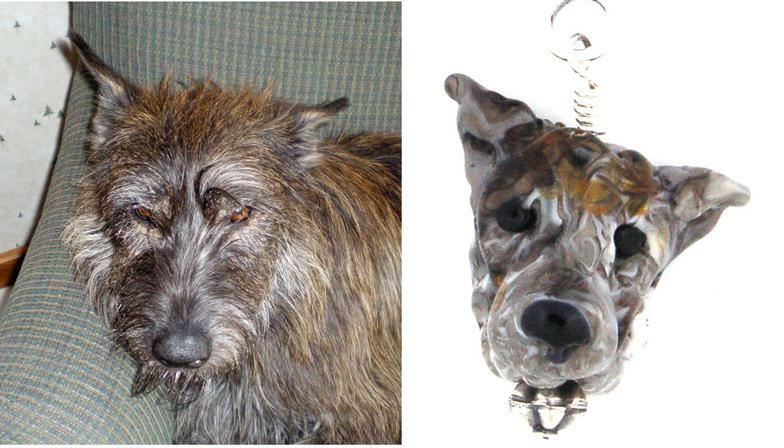 Several of my dog heads have been featured in Flow Magazine's 2010 and 2011 "Gallery of Women in Glass" and Beading Times selected me to be its "Artist of the Month" largely because of my sculpted dog heads in glass. My portrait of "Casey," my Australian Shepherd, (pictured lower right) was selected for inclusion in 1000 Beads (Lark Publication Company, 2014), a book honoring some of the world's finest bead makers from all media. 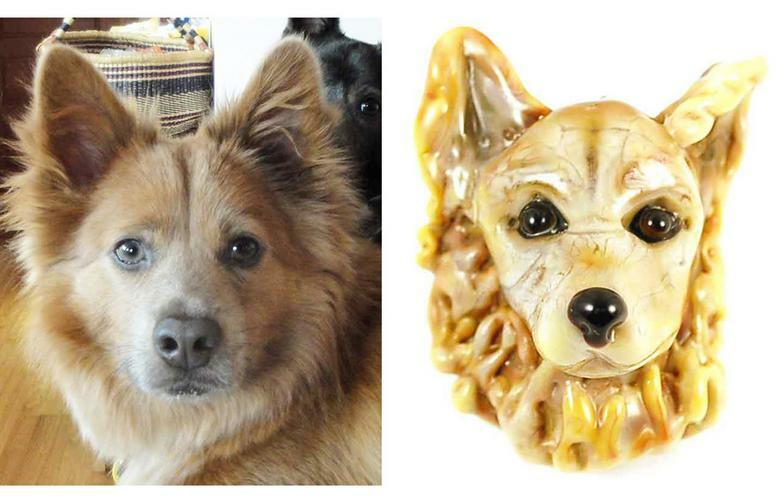 I lovingly sculpt each pet free hand from molten glass using no molds or paints. I strive to capture each pet's features and personality in glass. As in nature, no two sculptures are ever the same. 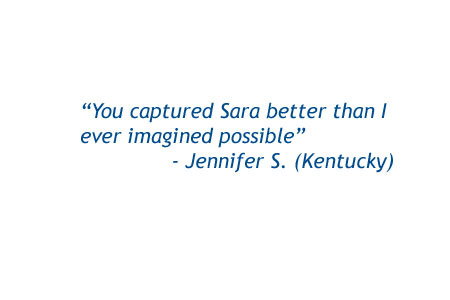 I only accept projects that I am confident I can complete beautifully. 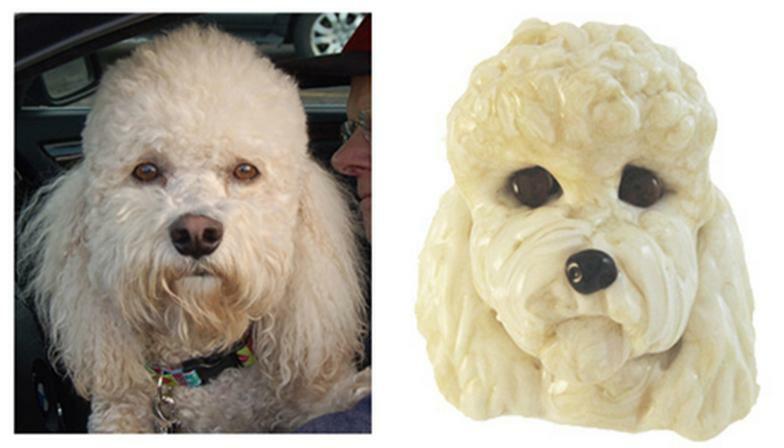 For example I may decline sculpting a dog with an entirely black face unless the customer accepts that the dog's details may appear to be less visible than in real life. 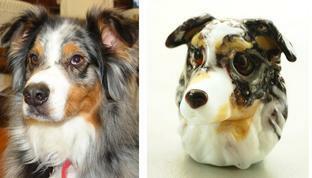 pet you would like me to sculpt for you or you would like to learn more about this truly one-of-a-kind creation.
!" 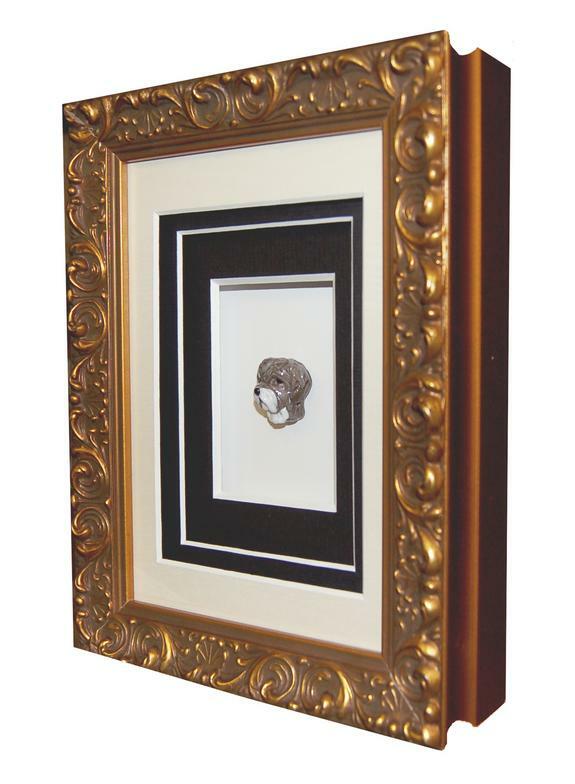 or 2"sculpture placed in artisan or commercially produced frame. Various styles available. 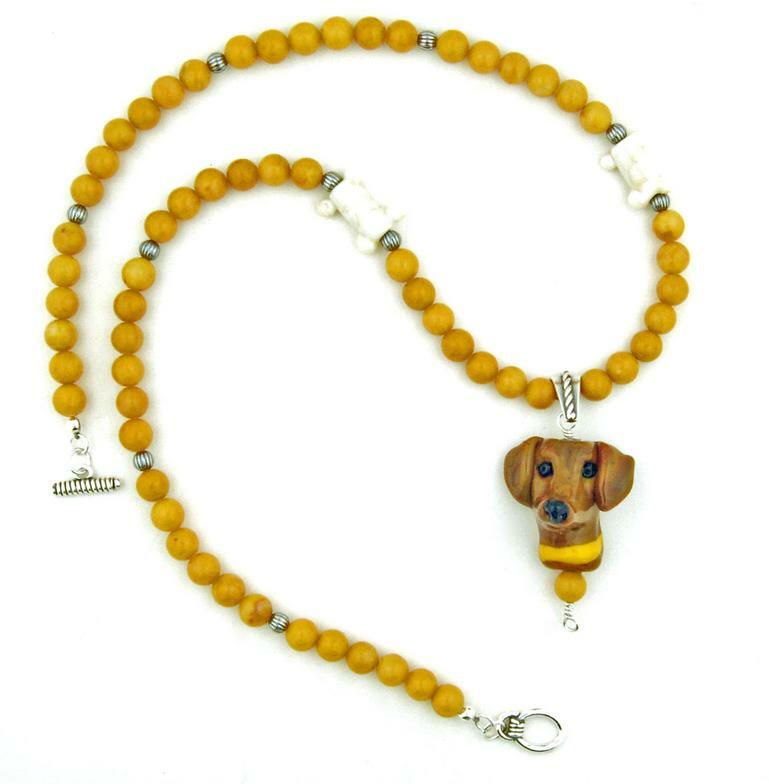 1" sculptured bead strung on semi-precious stones or sterling silver, with or without dog bone accents. 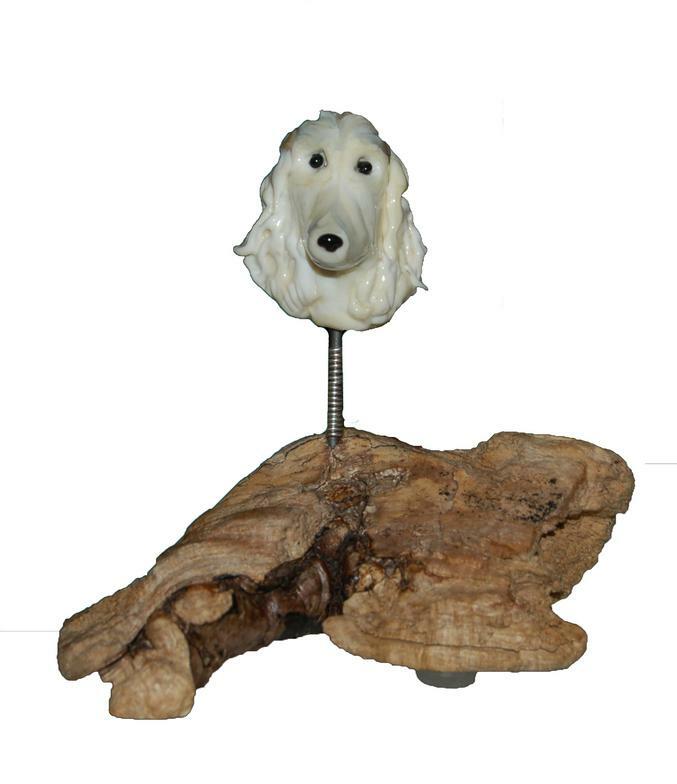 1" or 2" sculpture placed on custom treated driftwood stand. 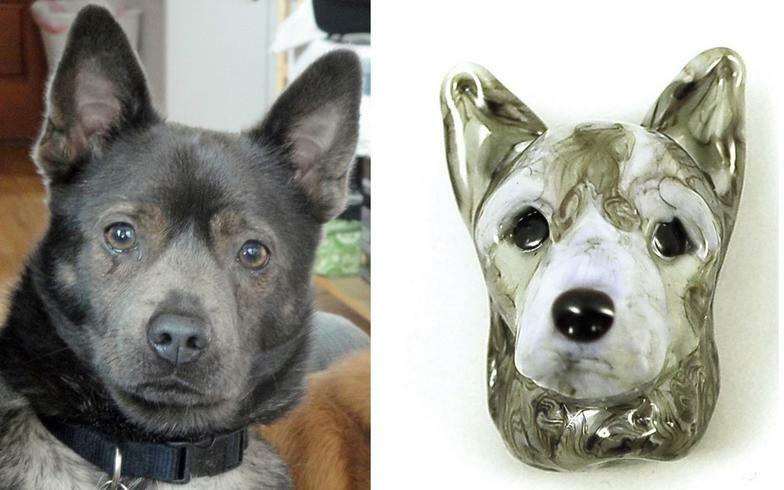 I would be honored to sculpt your pet in glass and create a truly unique gift for you or someone special in your life. Vicki would like at least 3 photos of your pet's head, one from the front (with an expression you like), and one profile from each side.These can be emailed to her or sent by snail mail. Vicki will contact you to reach consensus on a shared vision for the project, time frames and price. If desired, you may pay over time. 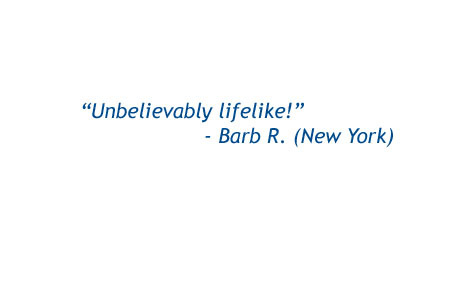 Before Vicki begins sculpting you will need to send Vicki a $75 deposit. 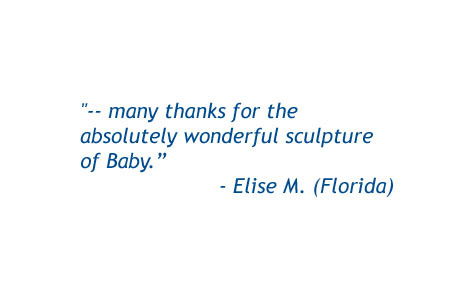 As soon as Vicki has a sculpture she likes or needs feedback on, she will send you a picture. 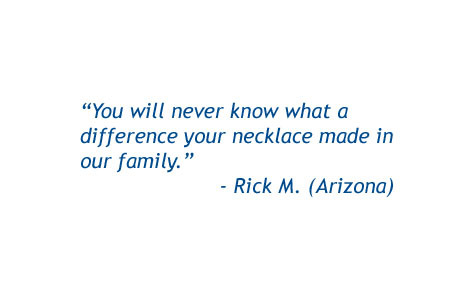 There are no refunds or exchanges on custom orders once they have been shipped, unless they arrived damaged. Each sculpture starts as rods of glass that Vicki melts and manipulates in a propane and oxygen torch. She typically creates each sculpture on a 3/32" mandrel, creating a vertical hole through the sculpture. She can create a sculpture without a hole, if preferred. 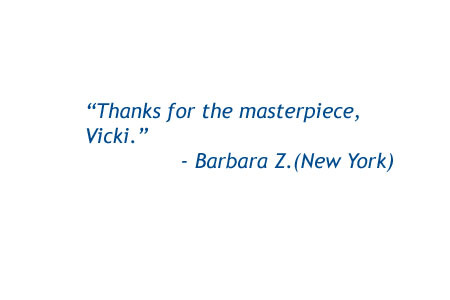 It has taken Vicki 6 years to develop the approach and needed skills to create these one-of-a-kind pieces of art. Including the prep time needed to blend colors and create custom canes, she may work at the torch as long as 4.5 hours straight to complete one sculpture. 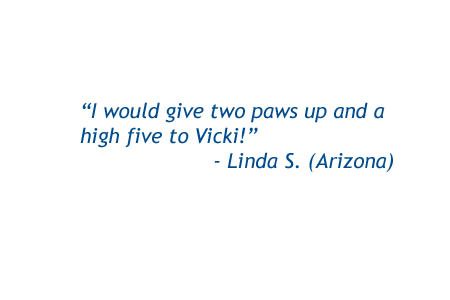 Vicki typically completes a sculpture of each pet 2-3 times before she is confident she has captured its "essence." 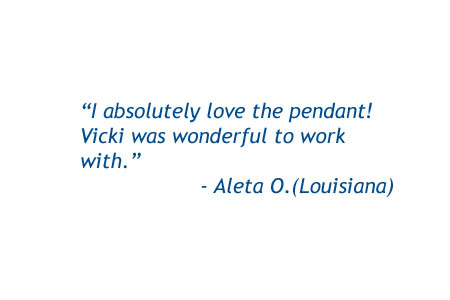 Vicki will seek the customer's guidance and feedback throughout the process to ensure you both have the same vision. Ready to order? Contact Vicki to start the process.